Momčilo Bajagić Bajaga is a Serbian rock musician, composer and song writer. He joined the band TNT at the age of fourteen. At eighteen, he became a member of Riblja čorba, one of the most important Serbian and Yugoslav rock bands. During the six years with them, he played the rhytm guitar, but continued to grow as a songwriter. Bajaga left the band in 1984 and made his debut album Pozitivna geografija. His first solo concert was in the Zagreb club Kulušić, with musicians he had occasionally played with. For the promotion of their album in Belgrade’s Dom sindikata, the band was called Instruktori. 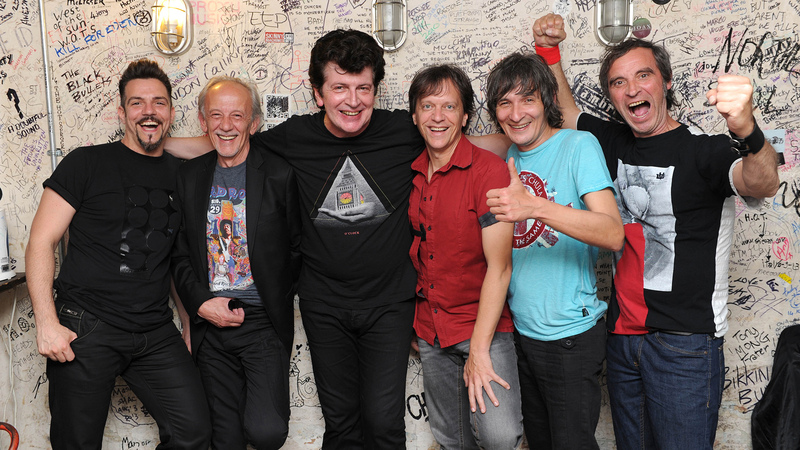 Soon Bajaga i Instruktori became one of the most popular rock bands in former Yugoslavia, mainly owing to Bajaga’s skill to write lyrics and music for striking, catchy and seductive pop songs. The band’s discography includes ten albums with songs of different motives – from sapphires to satellites. Their concert at Moscow’s Gorky park in 1986 is legendary – 100.000 showed up and the Soviet police had to interrupt it for security reasons. Bajagić made music for film and theatre, and wrote songs for pop, rock and folk artists. His music is played at stadiums and in concert halls, in taverns, as well as political campaigns and protests. The universality of Bajaga’s songs puts Bajaga i Instruktori at the very core of local mainstream, if there ever was such a thing.